AMP offers one stop shopping for your evaporation materials, sputtering targets, crucible inserts and E-Beam emitter parts. 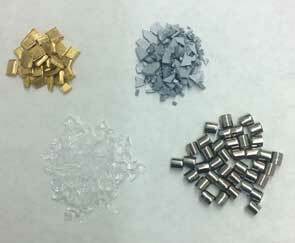 AMP provides a variety of evaporation materials to the thin film and vacuum deposition industry. Materials are available in purities ranging from 99.9% to 99.9999%. 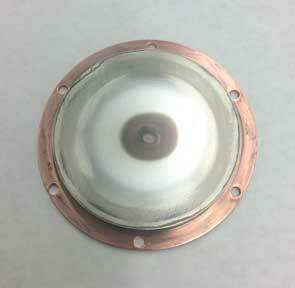 Sputtering targets are available for all sputtering systems such as round, rectangular, S-gun, Delta and Ring. Materials are available in purities ranging from 99.9% to 99.9999%. Custom designs are also available upon request. Tolerance on Diameter for Round Targets is +/-0.010"
Tolerance on Thickness for All Targets is +/-0.010"
Tolerance on Flatness for Rectangular Targets up to 5"x15" is 0.015" corner-to-corner. Tolerance on Flatness for Rectangular Targets up to 5"x36" is 0.025" corner-to-corner. T.I.R. We manufacture targets to tighter specifications for an extra fabrication charge. 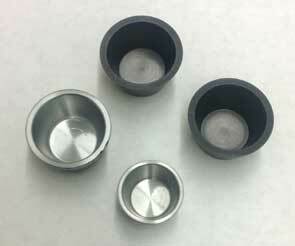 AMP provides crucibles in 14 different materials. 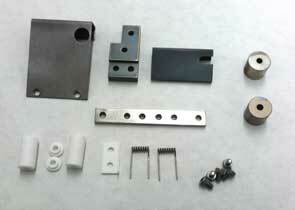 AMP supplies emitter assembly parts for Temescal and Telemark electron beam guns. Please contact us for Part numbers and ordering information.